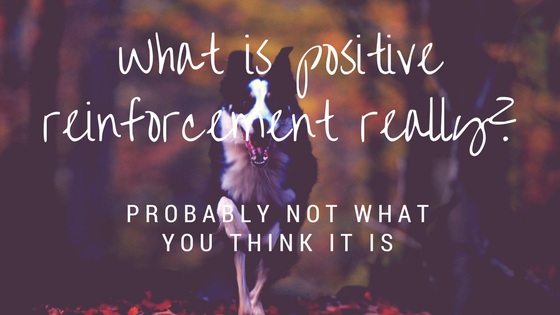 In Part 1, we talked about a couple schools of thought for behavioral remediation of fearful dogs. We also gave a couple examples for each type and then discussed different considerations when selecting a method. 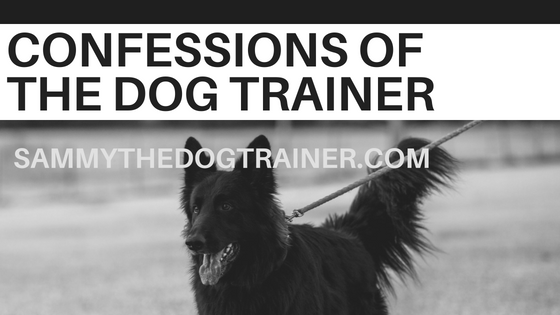 Today we're going to talk about a few exercises you can do with your pup to build confidence. 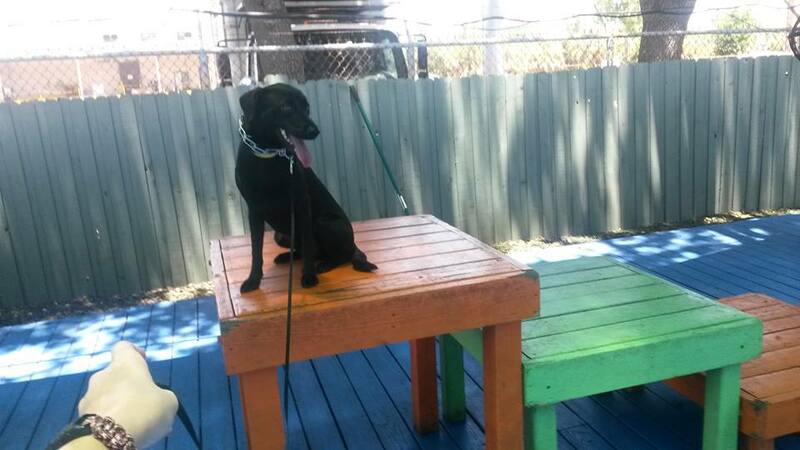 One might think, you're a dog trainer Sammy, of course you are going to harp on obedience. 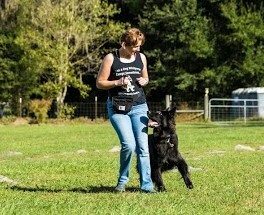 Ah, but it's not just because I get paid to teach obedience (I promise you, if I were in it for the money my lessons would be waaaaay more expensive than they are). Remember in Part 1 we talked about how obedience makes the world rational for a dog? Through obedience you empower your dog. He knows that if he does certain behaviors he can gain rewards and if he does other behaviors he will receive punishment. It puts the choice in his paws. I would be nervous too if I did not understand why I was receiving good or bad feedback- if the universe just randomly dumped on me with no sense or logic to it. We are lucky in being pet parents in that we can somewhat control our dog's little universes and make it much more fair than the world at large is to us. Every dog needs at least some obedience training. I repeat, EVERY dog needs obedience training. I get called over and over again to come rehab small dogs that eventually end up biting people because they never got the correct obedience foundation to start. Just because your dog is small does not mean you can forgo doing all the necessary training to make her mentally healthy. Sure it does not hurt if Tootles jumps on you if Tootles is only 15 pounds. However it will hurt eventually when Tootles decides to reprimand you by biting you because Tootles has decided she is in charge because you failed to train Tootles properly from the onset. OK, I will put my Sammy soapbox away. 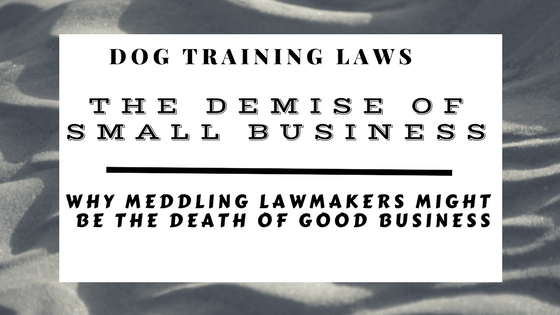 By doing obedience and demanding work from your dog you are also filling the pack leader role. The pack leader gets to dole out punishments and rewards. 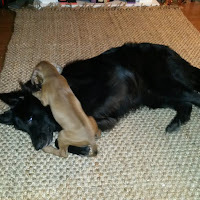 Your dog (unless you have a super dominant dog) does not really want to be the pack leader. They are immensely relieved when you step up and fill the roll. 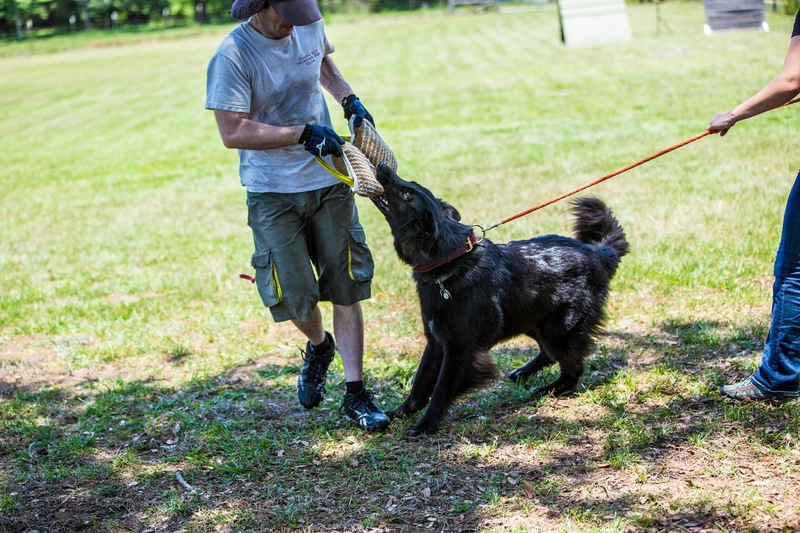 You must continue to do obedience to continue to keep your dog's trust in your leadership abilities. This means doing obedience work throughout the lifetime of your pet. 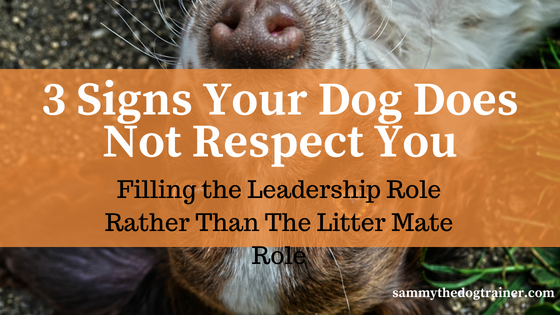 If you let your leadership duties fall by the wayside, so will your dog's trust in your roll as pack leader and by default his confidence will wane. 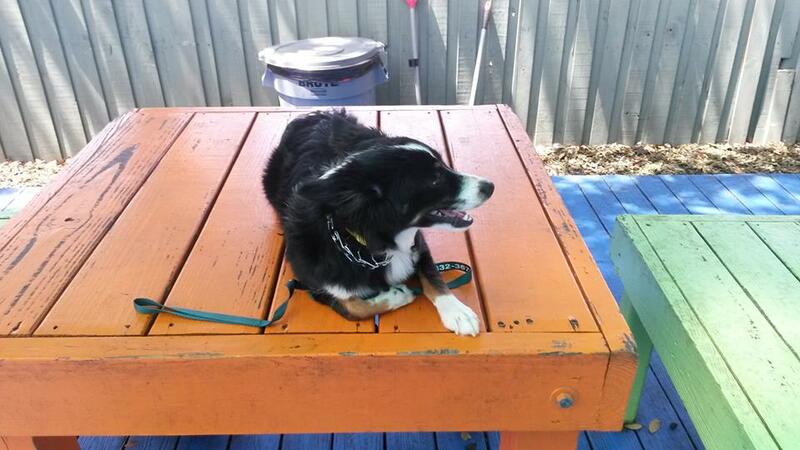 Start with the basic commands that every pet dog should know: sit, stay, come, down, and heel. 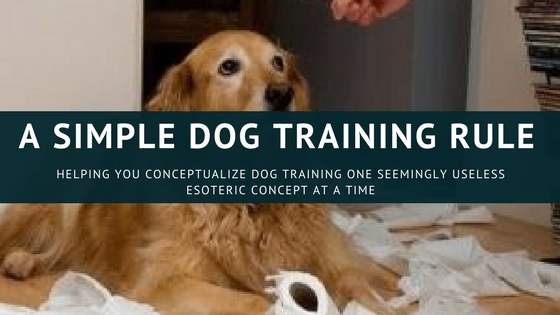 To learn how to teach your dog these commands, buy my book that will eventually be published, take a group class (your local AKC Club should have some), or hire a dog trainer (See Hiring a Private Dog Trainer). Or do all of these. Then you can start adding commands such as Stand or Touch (where you teach your dog to touch his nose to your fingers). Watch Me is a good one to teach. Wait is another, for staying when the dog knows you are going to release him in a second. Around and Swing are commands to have your dog put himself into the heel. Fun commands like Roll Over, High Five, Shake, Circle, or Play Dead are also possibilities. If your dog does something cool on her own, like dancing on her two back legs or cocking her head in that adorable fashion that melts hearts, give it a word and teach her to do it on command. I once taught a mini-Aussie the heart-melting-head-tilt on the command of Cheese! Here is another one if you want a multi-part challenge. Do a google search for freestyle if you want to see some really cool dog handling and tricks. 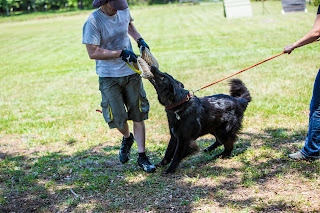 Obstacle work is another confidence building measure I love to do with dogs. 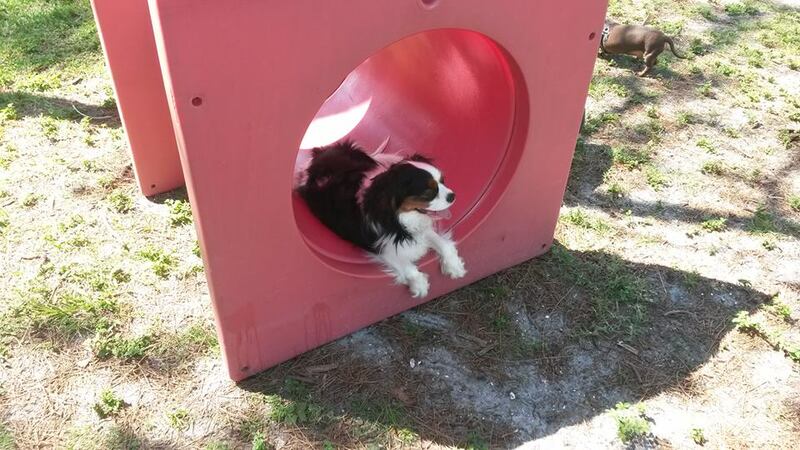 You can check with your local AKC club for agility classes or look at local dog parks to see if they have any agility equipment. I have several of the obstacles that I made or purchased myself that I use when teaching my lessons including jumps, weave poles, and a tunnel. Make sure your dog is old enough before doing higher jumps (2 years and up) so that you do not inadvertently cause any joint damage on a pup's developing joints. Build up to off leash tackling of obstacles (in an enclosed space). You can start to build up your speed, height, and agility! Just make sure to take small steps- you do not want your pup falling off of obstacles because you could do the opposite of what you want and create more fear. Go slowly and carefully. 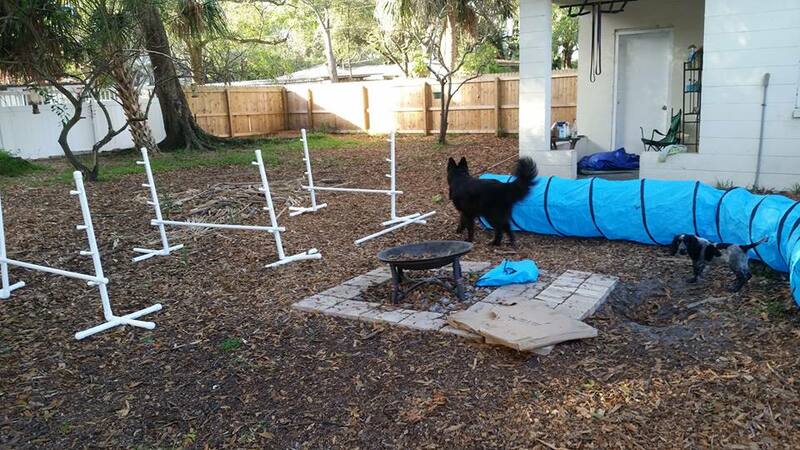 You do not need classic agility equipment to do obstacle work. You can make obstacles at your home or go to a local playground. 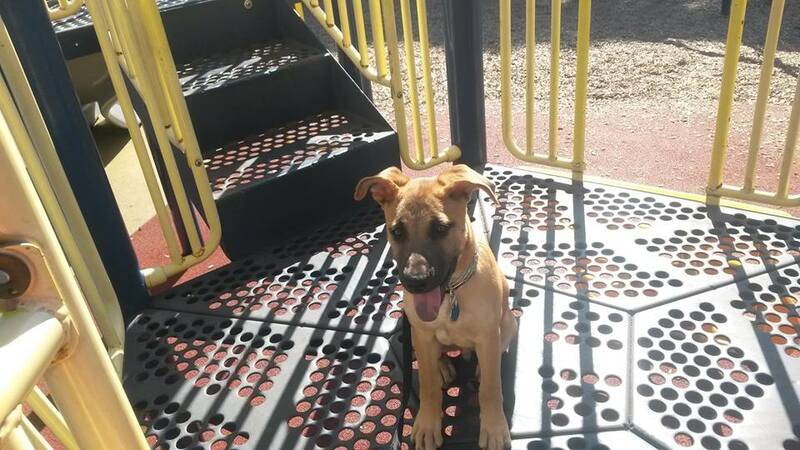 I love using playgrounds (that do not have no dogs allowed signs) as ways to build confidence. Here are a couple pics from our local area in Tampa, Florida. 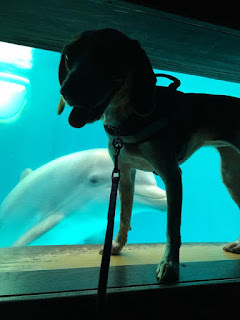 Another great way to build your dog's confidence is taking them on field trips. 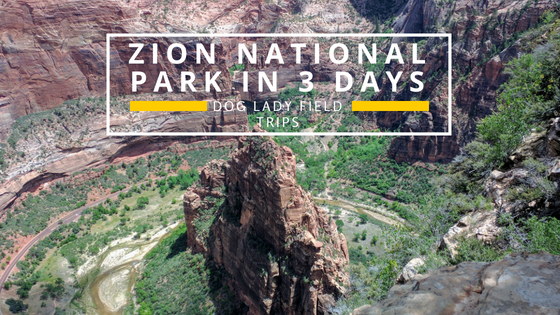 You can take them to parks and outdoor dog-friendly bistros and bars. 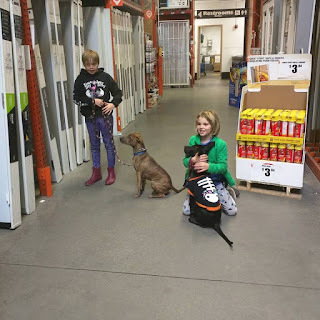 Most pet stores allow you to bring your dog, and my favorites Lowe's and Home Depot are two national chain stores that allow well-behaved (obedience obedience obedience....eh hem) pets on the leash. I love doing lessons at these stores because they are spacious enough to do lots of heeling patterns, they are full of distractions (i.e. people, loud sounds, smells etc. ), and it is indoors. These field trips are great confidence builders because of all the new (possibly scary) surfaces they will have to walk on and conquer, as well as the big mechanical monsters (forklifts, shopping carts, sawmills) they will have to defeat (defeat as in ignore and receive loads of treats for ignoring). I do loads of lessons at Lowe's and Home Depot when the weather is foul. The employees love dogs too. 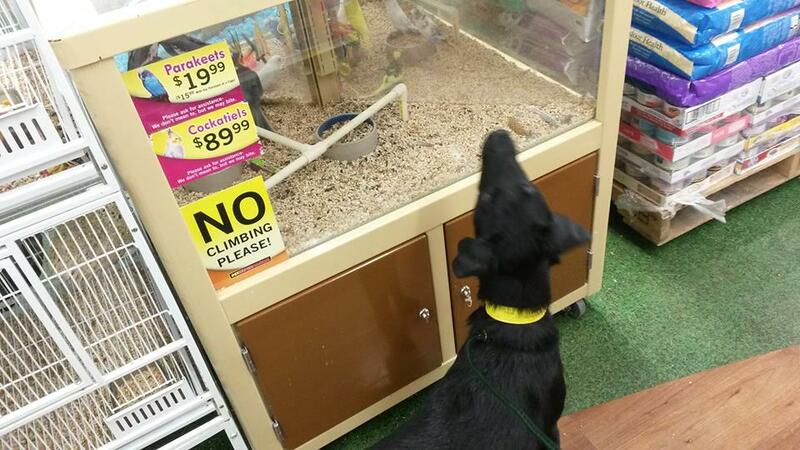 I feel as though these stores are the last bastions of doggy-freedom in an ever-dog-restrictive world. Give your dog a job. Dog owners hear this advice all the time, but what the heck does it mean? 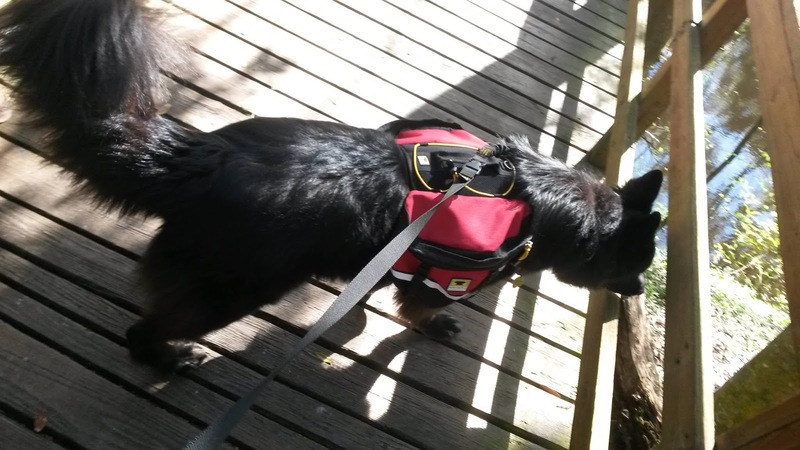 Do you have to enroll your dog in a search and rescue club or train them to be a medical detection dog? You do not have to, but those are cool jobs for dogs. However, for the average person, that is a lot more work than is feasible. So what are some every day dog jobs? Walking your human every day. This is the most basic dog job available. 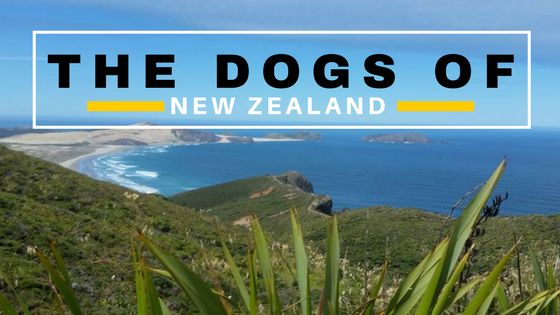 Walking your dog every day not only builds rapport (packs move together) but it is good exercise. In your mind, you are walking your dog. In your dog's mind, he or she is gently walking along with you so you do not get lost on your daily adventure. This is a very important job for a dog. So important that your dog leashes you together so you do not go wandering off. Make your dog carry things for you. Dog backpacks are awesome. 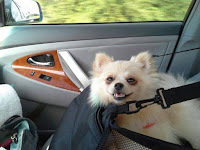 It is amazing to watch the transformation of a dog as soon as they don a doggy backpack. It is as if they immediately put their work-face on. It is not usually recommended to put a bunch of heavy items in the backpack and you should ensure the one you buy rests high up on the dog's shoulders rather than over the center of his back. Usually I just put my keys, cellphone, a doggy portable water dish, and a bottle of water in the pack. 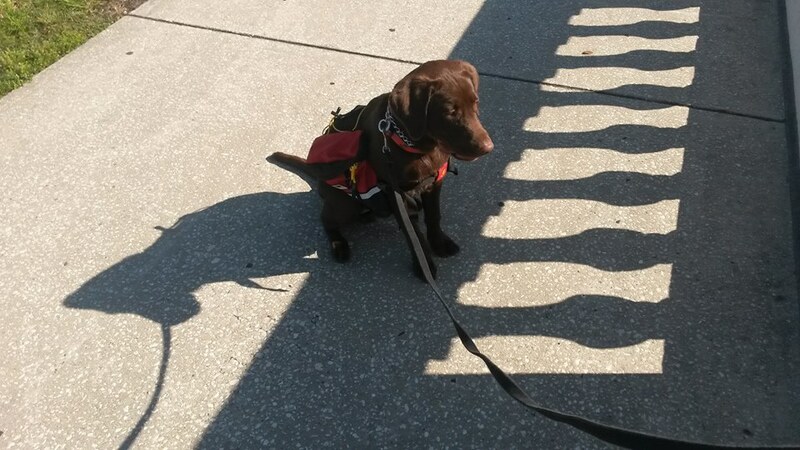 You can also use a dog vest for this purpose if you do not need her to carry anything. I put some recommendations at the bottom of the page if you are interested. What is your dog's breed? Are they bred for something specific? Use that to your advantage! Learn how to do scent-work or tracking if you have a hound. 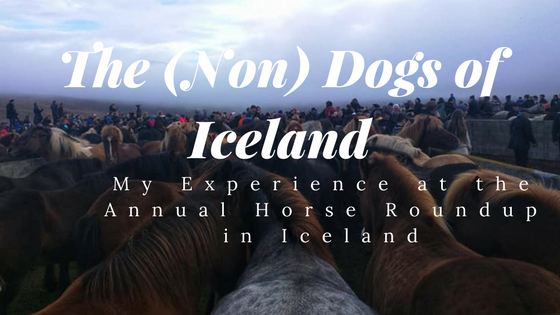 If you have a herding dog, look up the closest place that will teach you how to do some basic sheep herding. Even retired greyhounds enjoy chasing a lure during lure coursing every now and then. Got a German Shepherd or another protection breed? 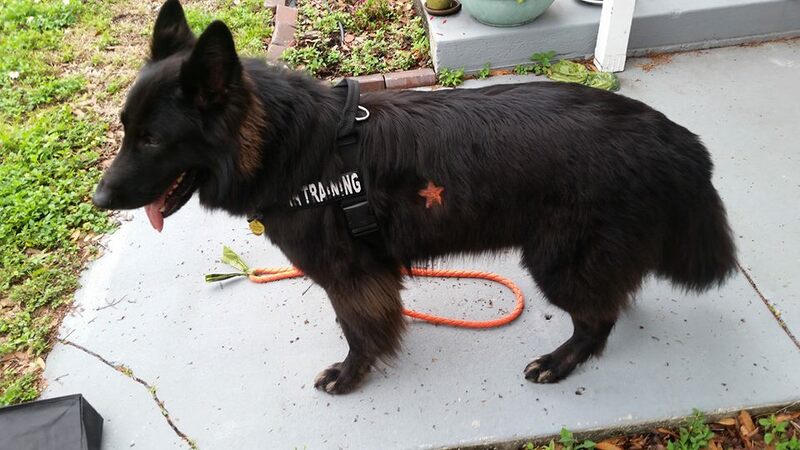 Try out your local Schutzhund club (tracking, obedience, and protection sport also referred to as IPO). If you do, be sure to be selective with the trainers you work with as protection work can have risks associated with it. If done right, protection work and Schutzhund makes your dog safer (contrary to popular belief, rather than scarier) and builds his confidence. It gives him a job that he was naturally bred to do. 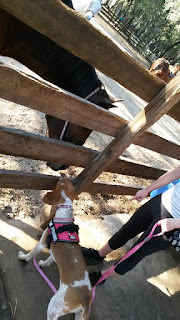 Barn Hunting is another sport that especially terriers enjoy. This is where a rat is hidden in a protective casing in a barn and the dog is unleashed to search for it. 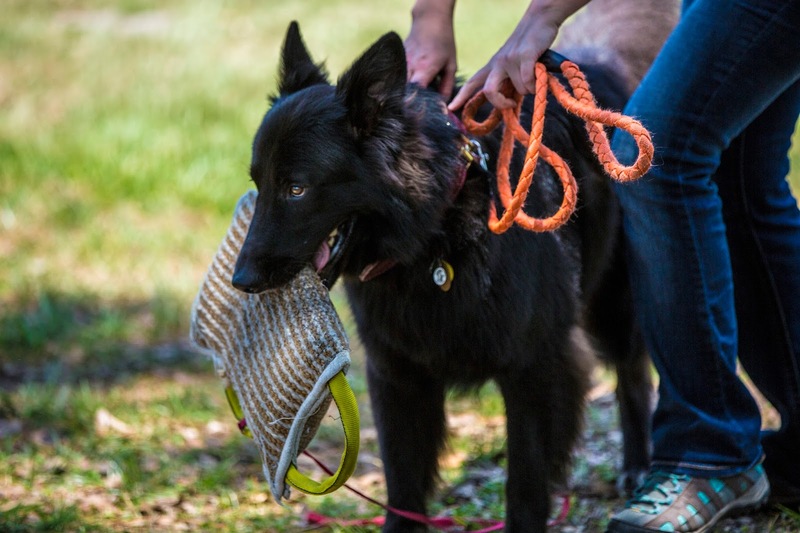 Competitions can be really fun for your varmint sniffing pooch! 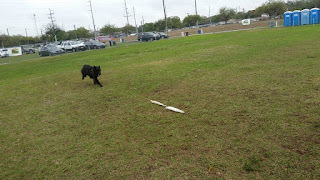 Whuffo at Schutzhund Club loving it! What are some jobs that I do not recommend for your dog? Babysitting. 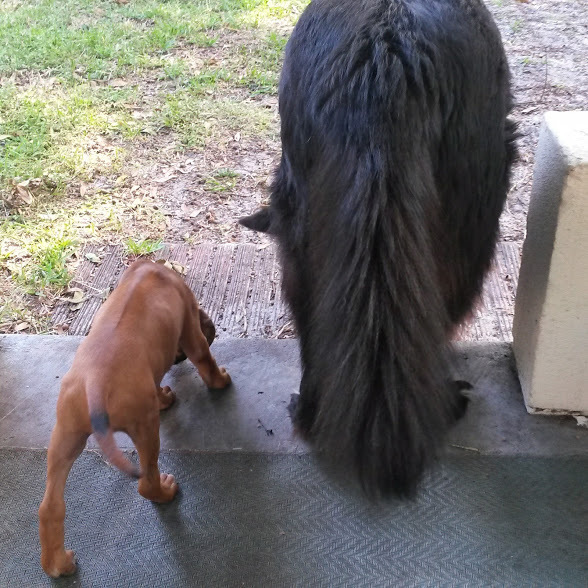 Dogs should never be left alone with human infants- it is not fair to anyone involved. Retrieving the newspaper. Although this conjures nostalgic images of Leave-it-to-Beaver days gone by, unless you have a invisible fence, letting your dog out in your front yard off the leash to get your paper is a bad idea...and illegal if he goes dashing off your property. Getting you a beer. While this is really funny at first, it will not be funny when your dog, with his newly acquired fridge opening skills, helps himself to your leftover pizza whilst retrieving your beverage of choice. I tried to teach Whuffo to make coffee. He just goes and sits in the kitchen, which in and of itself shows his intelligence. He knows when I say that word, that is the room I go into. Dogs are amazing. I am fairly certain my dog Whuffo thinks his job is to accompany me to parties and ensure that I do not do anything too stupid. He is mildly successful at this (in his defense I have a propensity for chaos and disaster), but is always a big hit with the party-goers. He soaks up the praise and attention like it's his job. It is his job. His dog job. 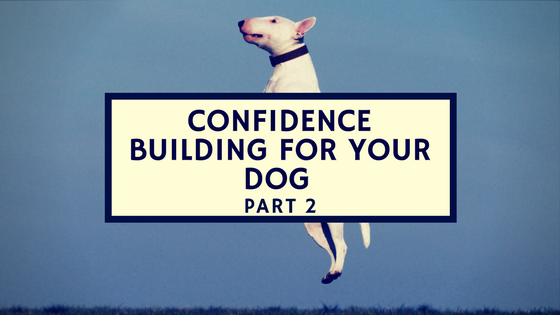 We went over a few different avenues for confidence building exercises in Part 2 of the Confidence Building for Your Dog series. The first and foremost (non-negotiable) part is basic obedience. Then you can add more obedience tricks, field trips, and jobs. Probably the easiest of these jobs is letting your dog be your companion. Take them with you on walks, to parties, to farmer's markets, and on trips to the hardware store. They will feel a sense of accomplishment in fulfilling their age-old purpose in life: to be your best friend.